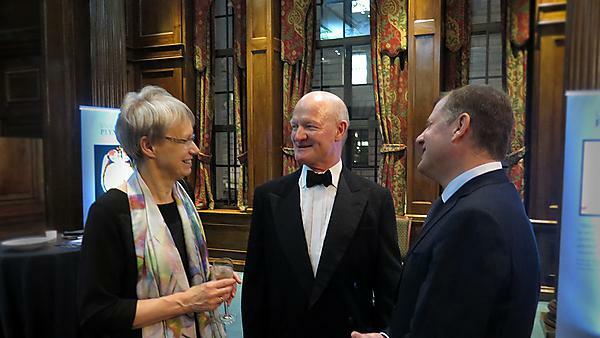 The University of Plymouth has showcased how it is at the forefront of ground breaking research in addressing global health challenges to an audience of national health influencers, and guest of honour, Rt Hon. The Lord Willetts. The University’s Health Research Showcase was hosted by its Chancellor, The Lord Kestenbaum at One Great George Street, London on Thursday 19 October. An opportunity to see and discuss some of the University’s internationally-leading research that is making a real difference to people’s lives, the research crosses work enabled by the University of Plymouth’s interdisciplinary Institutes spanning the University of Plymouth Peninsula Schools of Medicine and Dentistry and Faculties of Health and Human Sciences, Science and Engineering, Arts and Humanities, and Business. This publication captures a snapshot of the many exciting and internationally leading activities that contribute to the University of Plymouth’s research and associated activities around health. University of Plymouth Vice-Chancellor, Professor Judith Petts, CBE. "The University has a vibrant, interdisciplinary health research community with a reputation for exceptional clinical learning, strong social engagement and world-class research that is steeped in our ethos of advancing knowledge and transforming lives. "This event captured a snapshot of the many exciting and internationally leading activities that have a direct and positive impact on people’s lives and seek to address some of the most challenging issues that face human kind." The Health Showcase was attended by national health influencers, research partners and supporters including: Brain Tumour Research, British Medical Association, Foundation for Science and Technology, Design Council, London School of Economics, Medical Schools Council, Public Health England, Royal Society of Biology, University College London and Wellcome Trust.